The nursery took more thought, planning and effort than any other home project I’ve had to date. I’ve never been super invested in decorating my house (partially because we don’t own), but I’ve done quite a bit of nesting since we moved into our first real “home’ (we are still renting, but we now live in a 3 bedroom, 3 bath home and the owner allowed us to paint the walls of the nursery). Of course, it all started with Pinterest. 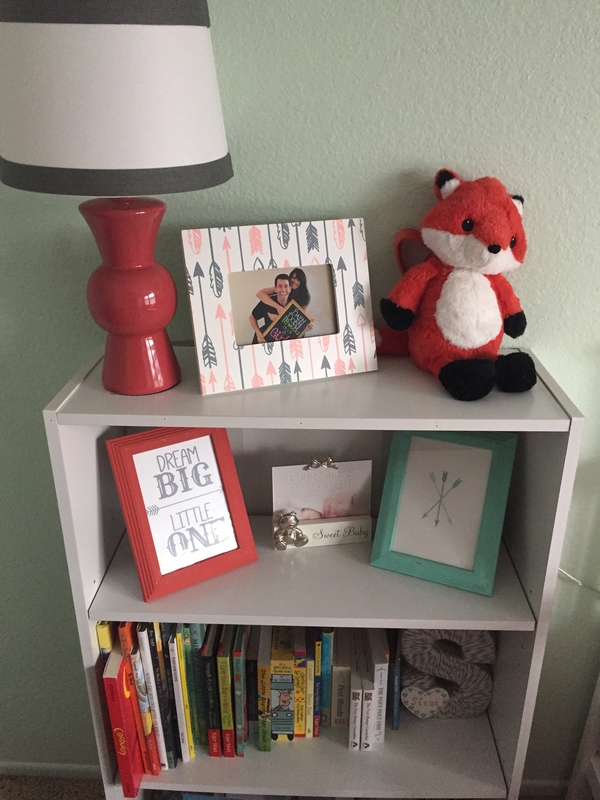 I quickly found myself being attracted to the arrow/tribal theme, although the color scheme changed to coral, mint and grey once we found out we were having a girl (I originally was looking at more blues/oranges with fox accents). 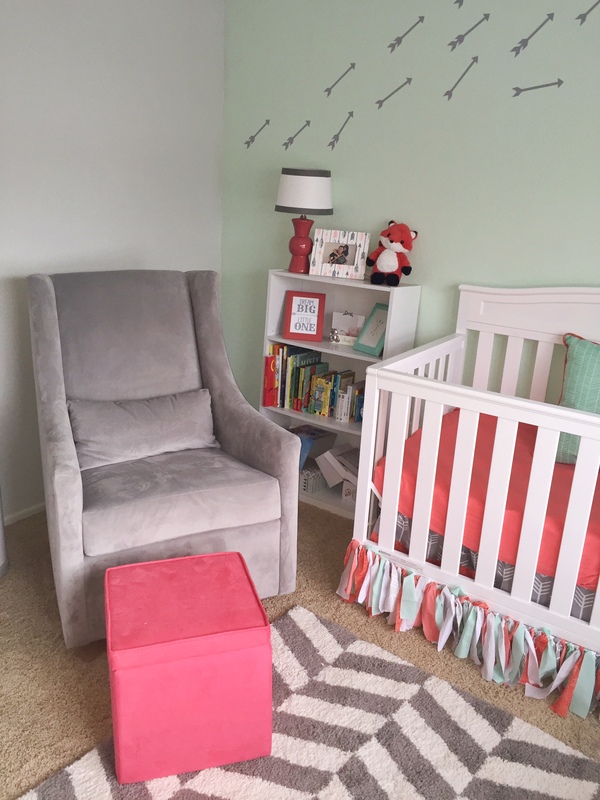 I was attracted to the coral, mint and gold theme a little more than the grey, but ended up going with grey since it’ll work better if we have a boy for our 2nd and in general, is a little more timeless than gold, which tends to go in and out of style. 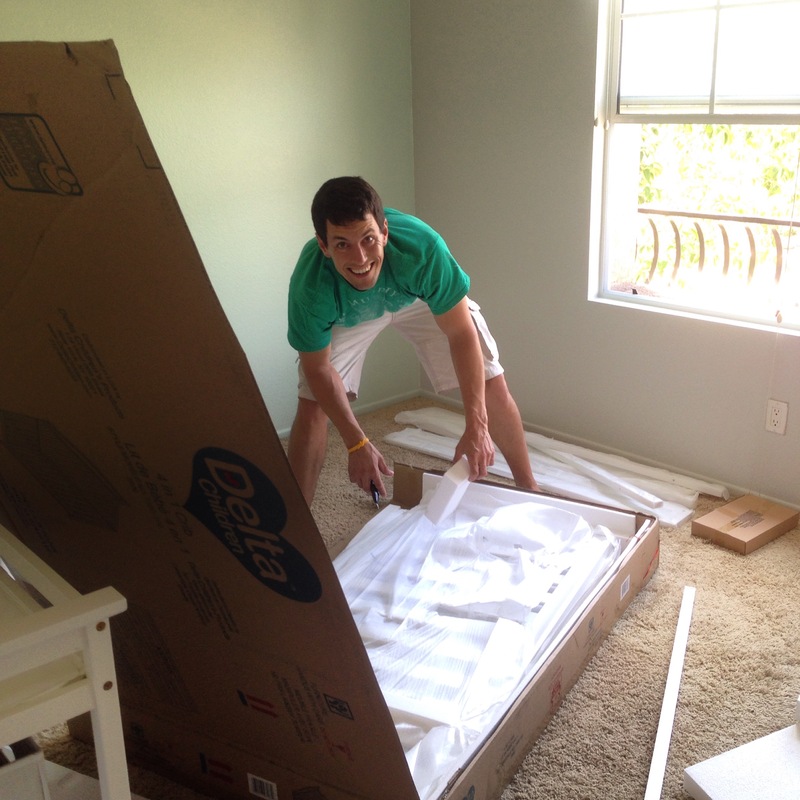 My husband Mike for buying the paint, painting the room and putting together the crib. My father in law Tom for helping paint the room. 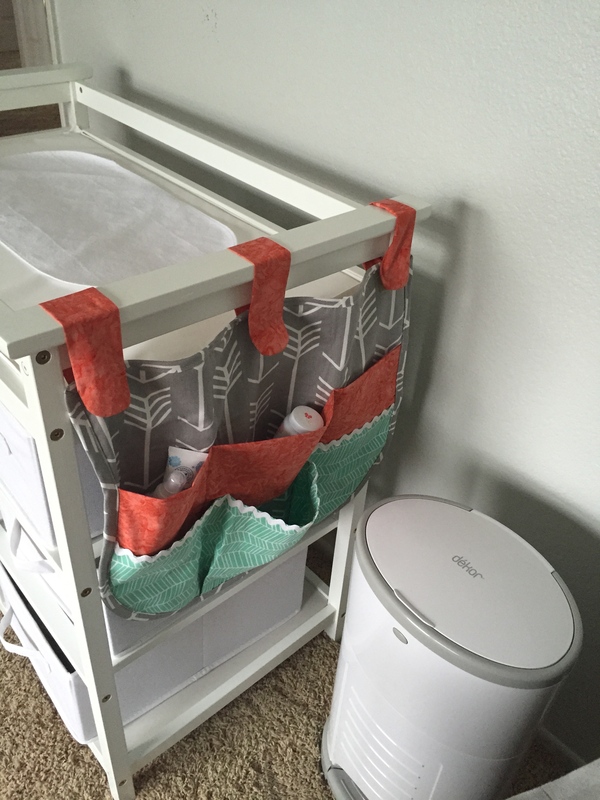 My mother in law Nancy for her AMAZING sewing skills – she designed and sewed the valance, crib skirt (the one inside the crib), changing table organizer and pillow. She also came over and hung the valance herself (totally something I had no idea how to do). Both Tom and Nancy for purchasing the crib for us (and Jill and Matt for the mattress!). 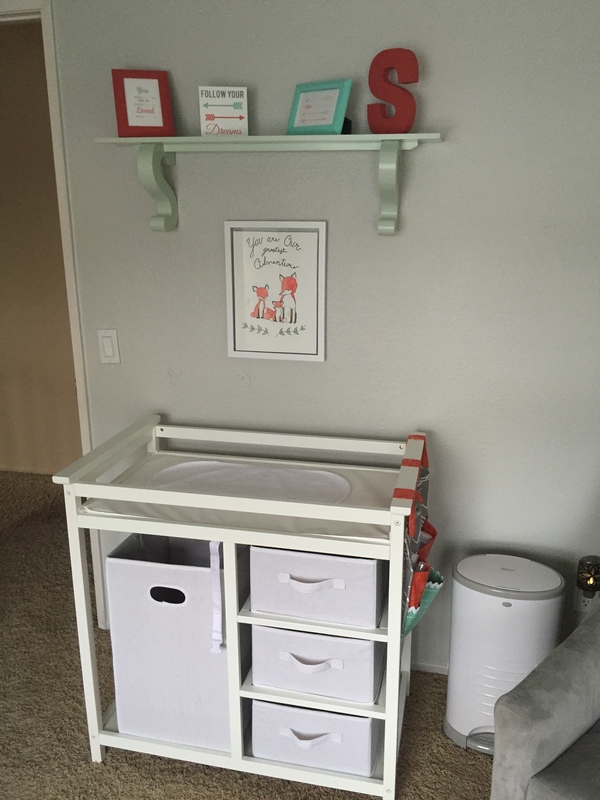 My friend Erin for purchasing the changing table. My Dad and Denice for the glider. My friend Allison for making the adorable banner for the shower which I used as an additional crib skirt (outside of the crib). Also Allison for the coral S and various frames with arrows on the shelves. Allison also is the one responsible for the adorable frame with handmade headbands that’s sitting on the shelf in the closet – guests made the headbands at the shower. My aunt Kerry for the grey and white S on the book shelf. My cousin Jaclyn for painting the fox painting hanging over the changing table. My aunt Tearee for designing and printing the beautiful canvas with Siena’s name and meaning that we hung over the crib. 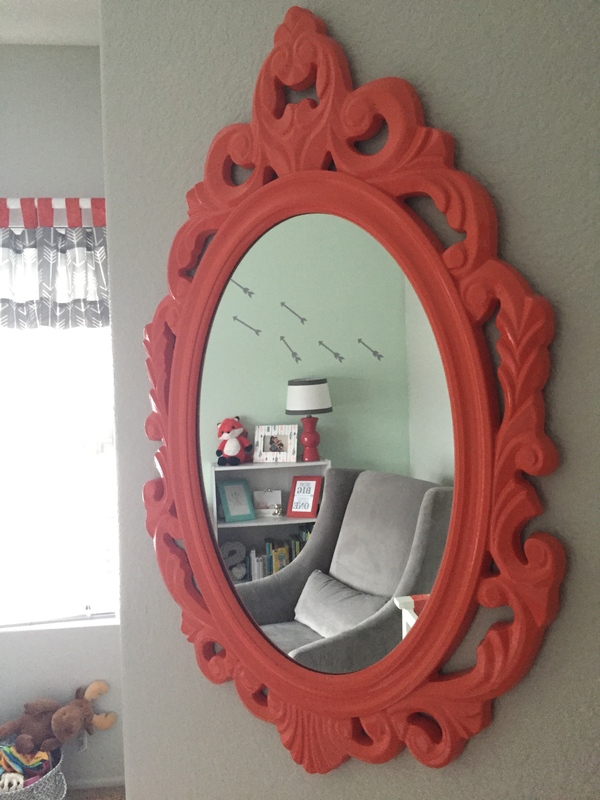 My friend Jenny for finding the adorable arrow picture frame. 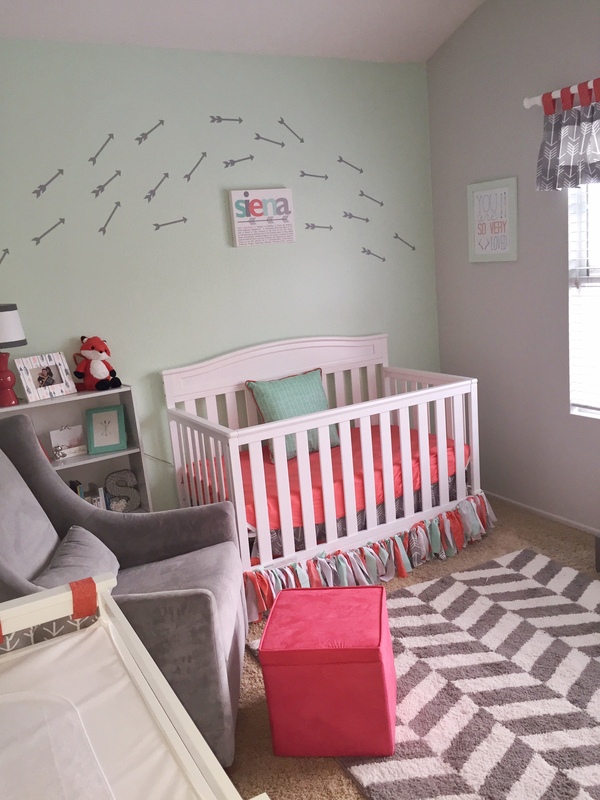 I couldn’t be happier with how the room turned out and I can’t wait for Siena to see it! 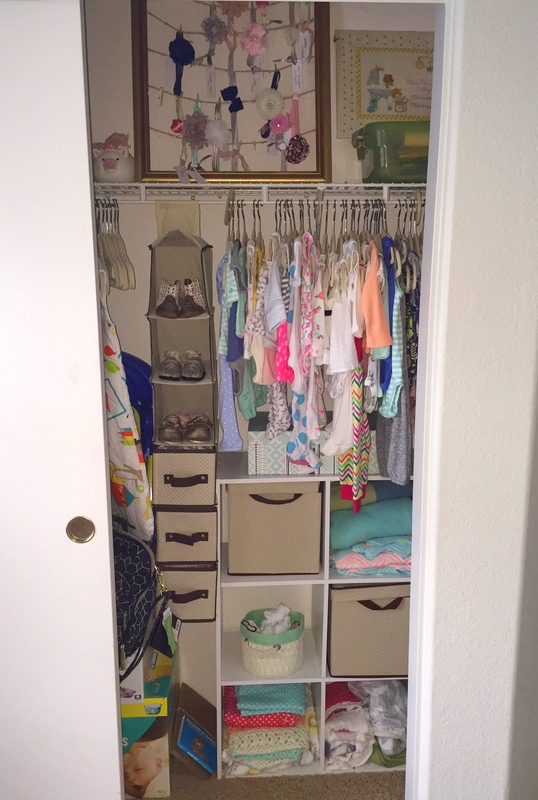 That is so cool that so many of your loved one help create the nursery! It turned out ridiculously cute! 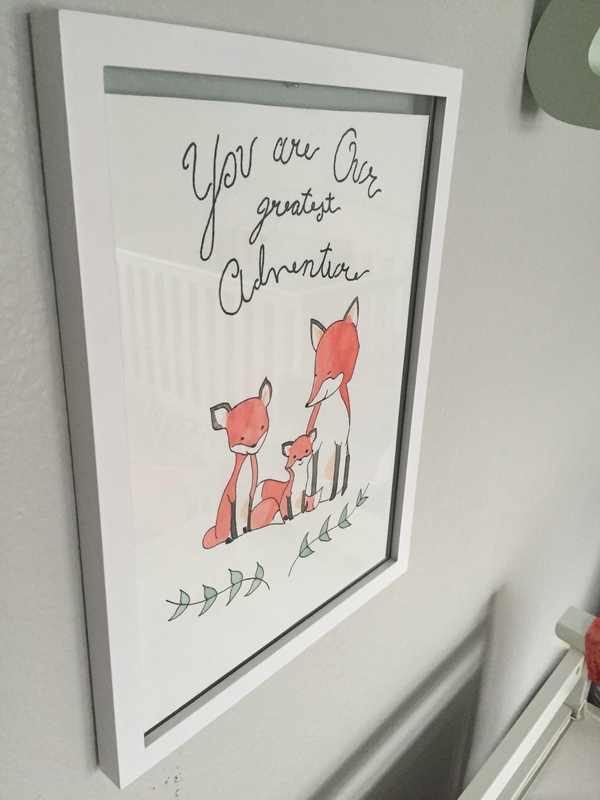 Oh my goodness I love this nursery! The colour scheme is fantastic. Those painted arrows. Oh and the framed quotes. Love it all! 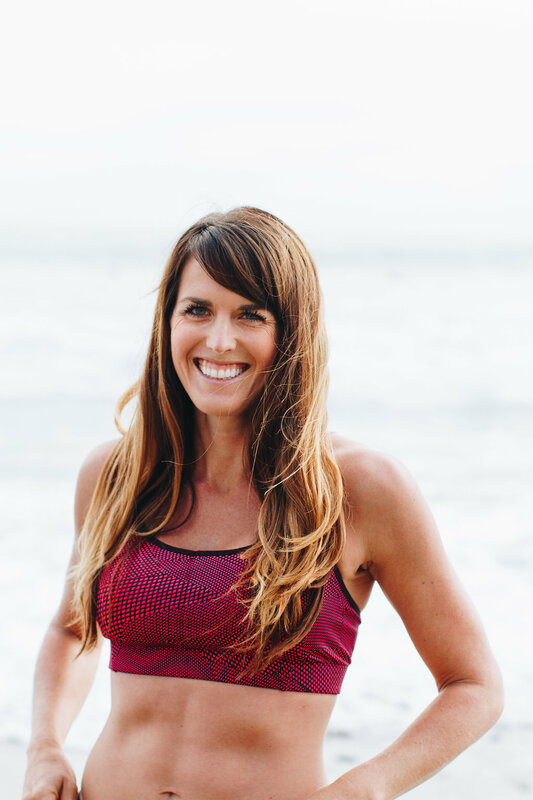 I love the color scheme and personal touches that your family and friends were able to make! It seems like there were a lot of people who made contributions to the nursery. I really like the arrows on the wall. Siena is going to love it!!! You did such a great job with all the details! I love it! My favorite is the arrows on the wall behind the crib. So cute. Adorable!! I love the colors! 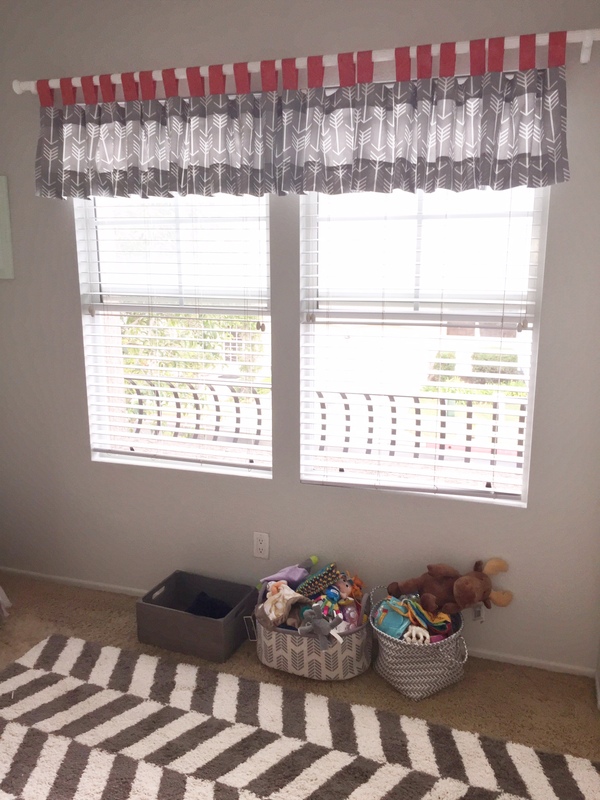 Very cute nursery! 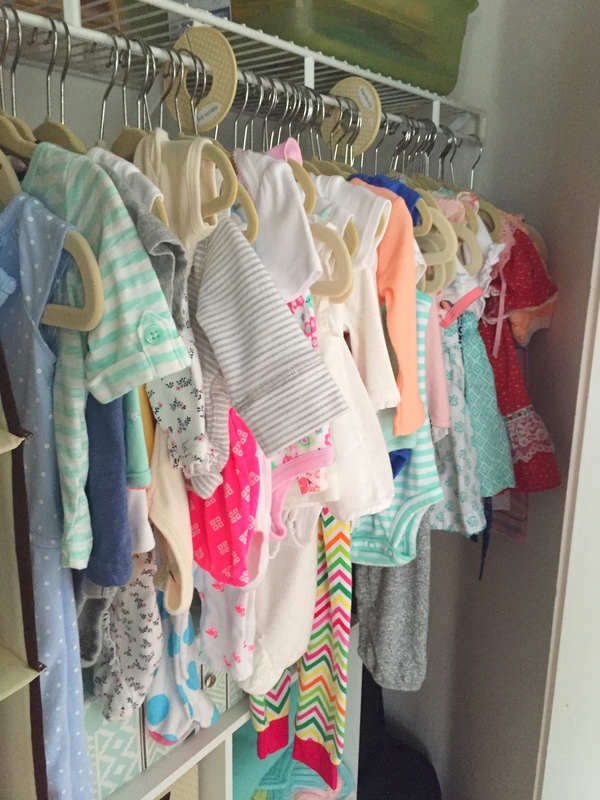 I love the little clothes all hanging up, adorable! Super cute!! Looks like you are ready!!!! Love the theme! Would you mind posting a resource list? I’d really like to know where you found that glider and the specific mint color you found. Thanks!